Good on you! I hopped over from Aliana’s blog. I’m half Chinese and live in a a country where the Chinese population is the minority. On top of that, most of them are non-Muslim. I hope to visit regularly to learn. lol. it’s good that there are blogs like these. You should visit http://www.thingstoknowaboutmuslimsandarabs.blogspot.com. There’s some stuff to clear up over there too. It’s weird how culture and Islam can contradict each other so much that it distorts the true beauty of the religion. Good luck with the blog though! Look forward to developments. MarshAllah this website is fantastic. With the rise of China’s presence on the world stage and the increase in practicing Muslim brothers and sisters it becomes ever so more important to have a reliable source of basic Islamic information! wa’alaikum’as’salam to both of you. hijabhaven, sister the blog link that you pasted is not working. Can you please post it again. Also you are right about culture and religion but one of the beauties of Islam is that it can adapt to a lot of cultures without compromising itself and thus is why we have such wonderful diversity in the Muslim ummah. chaoticstarlite, great. I am looking forward to posting more stuff. Comment to both: Welcome sisters and I hope you people stay around. hijabhaven since you are half-Chinese and chaoticstarlite your husband is Chinese I hope you people can contribute your experiences about the Chinese Muslim milieu sometime in the future. I’m very glad to discover your blog. I always wanted to know more about Islam in China. May I ask you a question : Is there also a revival of Islam in China I mean currently ? Welcome to the blog. A Muslimah from France, great! Regarding the revival of Islam in China it is somewhat complex because there are people of Muslim background who are being assimilated to such an extent that they practically leave Islam but at the same time there is also an awareness amongst many Muslims to learn more about Islam. As far as dawah is concerned then there is not much dawah going on amongst the Chinese. happen to be one of my closest friends (even though they’re mostly non-Muslim). But there have been quite a few converts time and time again. Some of my cousins happen to be Chinese. I’d like to know how profound is the assimilation of most Chinese Muslims are by the way? I hope its not too deep because it’ll be sad since it’ll may mean the loss of a unique Islamic culture just like what happened to the Chinese Muslims in Malaysia where the old Chinese mosque that admiral Zheng He built has now become Temple. It’s been almost 2 years since you wrote this comment. I hope you’re still following this website and if you read this, I would like to ask you if you can tell me where the masjid that was built by Admiral Zheng He is located that was later turned into a temple. I’m from Malaysia and I could ask around to find out about this. I’m only asking you to point me in the right direction. I’m sorry for my ignorance. I followed a link from Umm Zaid’s blog (Sunni sister) and am very impressed with your blog. I am a white convert to Islam (British background) and have often come up against stereotypes that Islam is only for Arabs and people from the Indian subcontinent. Islam is for everyone regardless of background or origin, and I am delighted to learn about Islam among my Chinese brothers and sisters. Subhanallah. I love this blog. I am an acupuncturist and teacher of Chinese medicine, and pulse diagnosis. I was in China before I embraced Islam, but honestly remember the incredible impression that the many Hui and Uighur brothers I saw made upon me with their harmonious comportment, their adab, and the dignity of their appearance. Insha’llah I’ll be going back to more specifically muslim areas of China, including Xinjiang. I also recently learned that Kunming has a sizable muslim population, and I may have the opportunity to go there next year. My blog is largely concerned with how Chinese medicine can be of service to the ummah, insha’llah. Adi, that is quite interesting. Regarding the degree of assimilation of Muslims in China then it is a very complex phenomenon and varies from region to region and even in the Chinese Muslim (mainly Hui) diaspora the degree of assimilation depends upon a number of factors like the presence of non-Muslim Chinese, the attitude of the dominant non-Chinese ethnic group and its religion and so on. On the point about Zheng He’s mosque being a Temple, I am quite surprised! Can you please send me more information about it? H, Jazak’Allah sister and Ameen to your duas. The stereotypes can be really strange since only 20% of Muslims are Arabs and China has more Muslims than MOST Arab countries! The case of South Asia is interesting since a third of all Muslims in the world live in South Asia which is in itself an interesting fact. Then there are of course less known historical Muslim communities in “far away” places like Crimea, Poland who have been living there for hundreds of years. Brother Abdallah, that is pretty cool. I would also love to know about your travels in China and perhaps we can post some information on this blog if you like. Kunming is the capital of the Yunnan province which at one time had a Muslim majority but not anymore. Yunnan was the center of the infamous Panthay Rebellion. assalamalikum Wang. I am really glad to see your blog here. I may be actually coming to China next year with my MBA group, and I was hoping to take a little time afterwards to explore Muslim regions of China… perhaps you could help me! Do stop by MuslimMatters.org and add your link in our link section. You provide a wonderful resource. Please don’t invade China with the whole islam stuff. Let the Chinese stay atheists, okay? There’s too much trouble in this world already where religion is present. Just look at the recent wars… USA (Christians) vs. Iraq/Afghanistan etc. (Muslim), Israel (Jews) vs. Syria/Lebanon etc. (Muslim). I think it’s best to just leave people be. Don’t try to convert anyone, it only causes trouble, in my opinion. I mean, to each his own, and it’s no problem being Christian or Muslim but history has shown that these two religions aren’t the most peaceful ones. I think it’s better to just keep them in certain regions so other people can just live without all the trouble. I do not doubt the initial peaceful intentions from everyone, but for some reason it always turns to violence within Islam and Christianity. And I think that this violence comes from the thought that you have to “convert” people to the true religion. There is no such thing as a “true” religion. If there really is a good, he doesn’t care about what kind of religion you have. He only cares if you live well and living well isn’t something invented by religion. It’s a set of basic rules, basically known by every single human. Things start to go wrong when religion kicks in, as far as I can tell. Suddenly weird rules are invented like having to pray towards the east, not being able to eat pork or having to pray towards a big wall. I don’t believe God cares about that. Believers have no right to attack non-believers just because they think that praying towards a wall or the east is ‘the way to do it’. So please, just let it rest. And will ye worship that which I worship. To you your religion and unto me my religion. Islam is the only true religion and essential to all human to become muslim because we are all were being created by the Only Great God, Allah the Almighty. There are no god the truly we worship except Allah, and Nabi Muhammad is Allah’s messenger. How stupid the atheist thinking which they can’t find their own god (meaning your heart and eyes are blind). Please think, how did you get life, get breathing, why only human had being gifted a heart and brain to think? Why animal did not have any brain to think? Why the skies were still on its place, not falling down? Why there have day and night? Which night had been created for us to sleep and rest; while the day had been created for us to work for us to go on with our life. Didn’t you see how beatiful the arrangement of our life? Is it come by nature? No, these all are created for us because we are being assigned to do one mission. What is the mission? The mission not to worship other than the God. Who is the god? The God is only Allah the Almighty and also to be khalifah Allah on the earth with guide by HIM which is Al-Quran and Hadith. Our life are not gifted to us just to be like animal like monkey, like pig, like dog, like chicken which they just live for food and lust. But we are being created by our creator to be higher living than the animals which have been gifted with brain to think. Helen, no one is “invading” China with Islam. Islam has been in China for 1,400 years. You know the Chinese flag? There’s five yellow stars on it right (assuming you’ve seen one), one of the stars is attributed to the Hui Chinese, or the Chinese Muslims. No one’s “invading” anyone. Read some books please. Peace be with you. Thanks for pointing that out brother. While that is one view regarding the hadith, that is not the only view. I will do a post on this hadith soon. Jazakallah brother. halanren, Actually Muslims have been in China for almost 1400 years so one does not have to worry about any invasion or converting everyone. I agree believers do not have any right to attack non-believers. Unfortunately people throughout history have used different ideologies, including religion, to impose their will on others. As-salaamu alaikum wa-rahamat ullaahi wa-barakaatuh. I shall be grateful if you can send me as much information as you have on Shahaba “Saad Bin Abi Waqqas (RA)” whose tomb is in Guangzhou on my Email. If you have books or documents on his life, please let me know, I will send you my address on my Email. I am preparing a documentation on his life. Great site! I hope to see more articles here which I dont find anywhere else like Chinese Islam, Chinese Muslim names, Chinese Muslim cuisine, Chinese Muslim music, Chinese Muslim art, and so on. I would love to read how has the universal message of Islam has adapted to the Chinese culture. We have somewhat similar blog http://indianmuslims.in related with the Indian Muslims. Dear Ahmad wa’alaikum’as’salam’wa’rah’wa’barakatahu, Sorry for the late reply. This is a subject that I am also interested in and also currently trying to find out more information. I will let you know if I come across anything substantial and will also post it on the blog insha’Allah. In the mean time best of luck on your project. As’salam’o’alikum, Welcome to the blog Faisal and thanks for pointing out the Indian Muslims blog. The history of Indian and other South Asian Muslims is a fascinating story especially given that one third of all Muslims in the world live in the Indian sub-continent! Thank you for visiting my blog that led me to yours. I appreciate your efforts in highlighting to the world that there are many Muslims in China. In my country, most of the Chinese are unware of the facts that there are many Chinese born Muslims in China and that the Chinese became Muslims long before the Malays, receiving the teaching of Islam directly through the Prophet’s Companions. 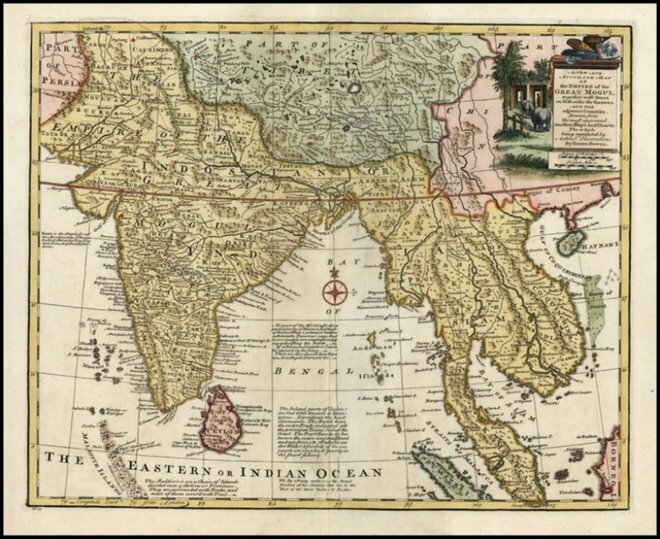 Whereas the Malays in Malaya (Malaysia and Singapore before their separation) who were previously Hindus, received Islam only during the glorious period of the Malacca Sultanate, especially throughout the 14th Century from the Arab and Indian traders, in which Malacca became an important base for Islam to spread to many other parts of South-East Asia. I enjoy reading your blog! Thank you for sharing your knowledge. I am adding you to my blogroll and hope that you do not mind. I love your blog. I found it through Abdallah’s Stickley’s fascinating blog. Keep it up. I will definitely be visiting regularly. I just wanted to correct Zjay who wrote “In my country, most of the Chinese are unaware of the facts that there are many Chinese born Muslims in China and that the Chinese became Muslims long before the Malays”. “In my country, most of the Chinese are unaware of the facts that there are many Chinese born Muslims in China and that the Chinese became Muslims long before the Malays”. …Hmm…Perhaps I might have offended you, Seeker94 with this statement. Thousand appologies, if I did. It was not my intention to hurt the feeling of others when I wrote the above statement. However, I cannot agree with you, Seeker94, that most Chinese here (muslims and non-muslims alike) are aware of those facts, just like you cannot agree with mine. This is because like you, my opinion about this matter is base on my real life experiences with relatively a large number of Chinese I met and interacted before in which, some of them were my friends and relatives. However, I am absolutely in total agreemeet with you that there are Malays who were unware of the facts. I had met Malays who were aware of the facts too. So I believe it will be more accurate to write…”In my country, there are several CHINESE AND MALAYS who are unaware of the facts that there are many Chinese born Muslims in China and that the Chinese became Muslims long before the Malays”. I hope this will enlighten you, seeker94. 🙂 and Lesson learnt on my part to be more careful with my writings in the future. I’m loving the blog, I’ve been looking for information about the history and culture of Islam in China for a while. Glad to see this blog up. I have a link you may find useful, will find it and email you later. wa’alaikum’as’salam mash, Welcome to the blog and I am glad to see that you also liked the blog. Sure if you find a link then you can e-mail it to me. Oooh.. I just found your blog today!! Masha’Allah, it looks so interesting. Insha’Allah I hope I get the opportunity to read it. wa’alaikum’as’salam’wa’rah’wa’barakatahu Farhana, Welcome to the blog. I hope you like this blog. I want to share this website with you. http://www.islamonthenet.com – though the site is still in construction – not all links are working. Masha Allah, cool. Keep blogging. Bhaijan, welcome to the blog. There isn’t that much information available on this subject on the net. Additionally there is not much information on Chinese converts in other countries also given that there is a huge Chinese diaspora in other countries also. Masha’Allah what a great site. I am a first generation Chinese born American convert. I converted 1 month after Sept 11, and went to China for the first time 3 years ago. I was so happy to see the Masjids and Muslims in Bejing, Shanghai, SumJun, and in Hong Kong. Next time I really wish to visit more of Muslim China Insha’Allah. May Allah bless you for your efforts – I look forward to visting often. as’salam’o’alikum’wa’rahma’tullah’wa’bara’ka’tahu, Um Yusuf as-Siddiq welcome to the blog. Its good to see more Chinese Muslims on the blog. Ameen to your duas and insha’Allah I hope to see you in this blog in the future. I went with a friend to China. She adopted a baby. I would love to learn about Chinese muslims. Assalaamu Alaikum! My wife and I are both reverts to Islam, I from an English background, and my wife is Chinese. We now have a baby daughter who is blessed with being born into a Muslim home. May Allah bless you, in your good work. as’salam’o’alikum’wa’rahma’tullah’wa’bara’ka’tahu asqfish, welcome to the blog asqfish. In America there seems to be a lot of Chinese and Korean adoptees. wa’alikum’as’salam’wa’rahma’tullah’wa’bara’ka’tahu, Welcome to the blog brother Paul. Masha’Allah that you and your wife are converts. May your child grow up to be an exemplary Muslim with the best of qualities from the English and the Chinese culture. 🙂 Thanks for the compliment and remember me in your duas. Awsome blogg. Great and interesting stuff. The history of islam in china is such a rich and fascinating subject. Something that has been so neglected. You’ve got a really interesting and informative blog. Will definitely return for more of your postings. I have always been interested in history. Brunei (where I am from) has ties with China since its early Sultans, in fact a Sultan of Brunei has his tomb there. I am trying to keep track of my family tree as my late grandma said that we have Chinese blood in the family. Chinese Muslims is an interesting topic. May Allah bless you for this blog. Keep on writing. yes, his tomb is located in Shandong province, I think. i was in xinjiang a few years ago. the people and place captivates me. i got the images upload in flickr. email me if might be of interest to see the images in xinjiang and sichuan muslim. zaazaan: a weak hadith is still a hadith. dont mention if it does not bring any good to anyone. and the companion of the prophet was in china. prophetic tradition: seek from the cradle to the grave. Seeker, We would be definitely be interested in seeing the pictures that you mentioned. Masha Allah you have a very informative blog. I am originally from Mongolia, but raised in Canada. May Allah bless you for all your hard works. Keep blogging brother :). wa’alaikum’as’salam, welcome to the blog brother. I know that there are some Mongolian Muslims in inner Mongolia but I have never anyone myself. Thus it is great to see a brother from Mongolia. masha’Allah! may Allah reward you for educating the rest of us of how are muslims ummah are doing in china and islam over there..
i’ve watched a few good programs on huda showing the diversity of chinese muslims..and have met a couple here in madinah..
as’salam’o’alaikum shuaa and welcome to the blog. Thank you for the kind words. It is words like these that keep me going. assalam alaykum, a great blog, most informative, God bless. very nice blog. MashaAllah. God bless. As salaamu alaikum,Islaminfocus is a live ,call-in radio talkshow program airing in Bermuda every Thursday evening from 6pm-7pm on 1340 am radio.The call in station phone # is 441 295-2828 or you can contact me with any dawah ideas or info at 441 799-6463.I really like what youre diong with your blog. Mashallah one of the better Islamic blogs on the net. I always wanted to know more about Islam in China. All I know is that one of the oldest Mosque in the world is in Xian, thus its great to see your blog, its very informative :). I am a Chechen Muslim (Russian Muslim) but living in Canada now. May Allah SWT Bless you for your hard works. — Aznii, your sister in Islam. Stumbled across your blog when I was researching on Muslims in China. Honestly, your blog has one of the most comprehensive information thus far and I truly appreciate your dedication in providing an insight to others about Islam in China. Insya Allah, I’ll visit there sometime either end of this year or next year. Meanwhile, I look forward to reading more of your blog and discovering the beauty of Islam from the eyes of a fellow Muslim. Insya Allah. PS: I’m sorry, but kindly disregard my earlier post. Thank you. wa’alai’kum’as’salam’wa’rahma’tullah’wa’barakatahu Aznii, Welcome to the blog sister. Its cool to see a Russian Chechan Muslim on the blog. wa’alai’kum’as’salam’wa’rahma’tullah’wa’barakatahu Hajar, Welcome to the blog and thanks for the comments. Insha’Allah I will be expanding the blog soon and focusing in some of the themes in depth. Hopefully this will be beneficial to Chinese and non-Chinese Muslims. Alhamdulillah. Without a doubt, that is just wonderful. Albeit the themes that I anticipate the most will be the assimilation of Islam in present China, the role of Muslims there and highlights on eminent Muslims. Nice web site here, keep up the good work guys! Any one know how i can marry a Muslim chinese sister? I’ve always wanted to marry a chinese girl, i find them very attractive. Sorry if its absoultely the wrong place to ask this or if its inappropriate or inconsiderate. Hajar, Yes but because of the cultural revolution assimilation has gone too far in some cases but that is a topic for a detailed post on some other day. wa’alai’kum’as’salam’wa’rahma’tullah’wa’barakatahu Livinghall and welcome to the blog. Thank you for making this site. I am glad to learn more about Islam in China and I am delighted to meet more Chinese Muslims. May I ask if you are ethnically Hui or a Han who converted to Islam? I am a Japanese man who converted to Islam. Islam is small in Japan, but more and more Japanese are starting to embrace it alhamdulillah. Assalamualaikum, found your blog while googling for ‘Islam in China’. I’ve always been intrigued with China’s history and have always been amazed about Islam in China. Best of luck and will link you if that is alright. Understood Daiyu. Look forward to reading future entries on that. This blog is dedicated to the proliferation of the teachings of the Thanwi silsilah through what we have acquired from our beloved Shaikh, Hadrat Sufi Shah Feroz Abdullah Memon Sahab (DB) Khalifa Majaaz-e-Bayt Rumi-e-Saani Arifbillah Hadrat Maulana Shah Hakeem Muhammad Akhtar Sahab (DB). 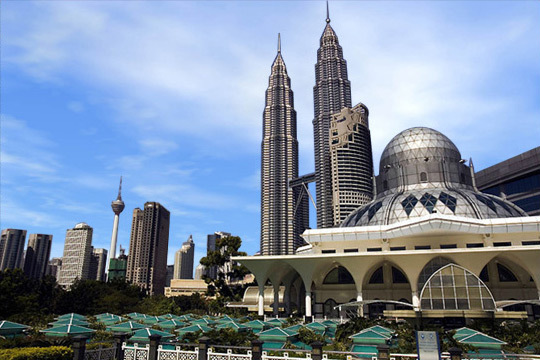 I have some connections with Chinese Muslims in nirth Thailand..
I’m about to send some Islamic books to islamic institutions there and i need to support them with refrences ti some Chinese islamic websites..
assalamuaikum …. wow so many people intersted with Chinese muslim. if i know that, i will make my blog in english. at http://www.shayu-butterfly.blogspot.com well its new and it does contain the same Themes with this blog but mine is more like the history. thank you for this information. wassalam…. I am compiling a bibliography of English books on Islam and Muslims in China. I have names of some 130 such books dealing with Muslims in China. I wish you brothers also name some books on the topic here. Hi everybody!! I’m from Mauritius and I would be very grateful if someone could get me in contact with a recruiting agent, so as I can get some information on recruiting chinese muslims to work in a pastry industry here in Mauritius. i wooul like meet a chinese girl for marriage in chaallah but i dont know where i can found some links? very good blog and much needed. it has hard to find information on islam in china in english language. May allah reward you for your efforts. imams need to teach “approved” khutbas and lessons and that they are trained and given license to teach by the CCP. insha’allah you can shed light on some of these things. Luv yr blog! Hope you dont mind if I link mine to it. Assalamualaikum,nice blog.keep writing.insyaAllah.lets spread da’wah with zeal. I understand now how arrogant I am about my muslim brothers ans sisters around the world. I am an Indian living in dubai, and according to my knowledge, I thought china was a big communist country full of atheists, although I know Islam is for everyone, at every time and for everyplace. You proved me wrong. Thanks for your blog. With you I came to know about the Islamic China. Keep it up. I saw some people are trying to find chinese sisters for marriage, i actually am also interested in finding a good chinese sister for marraige InshahAllah, if any body knows anything at all or can help please contact me and may Allah reward you. I am pleased to discover your Blog. I have a burning desire to learn more about the Islamic Tradition in China. I live in the United States however my roots are originally from Southern France. I have never been able to discover the Origins of my family name “Shanteaux”; but find it interesting that there is a Port City in China called Shanto City. I’m interested in what the Chinese name “Shanto” means. It is also my Dream to find somewhere in Asia ( China, Malaysia, or Phillipines) where I could Study both Quran and Martial Arts together with an accomplished Hafiz’ul Quran. Do you know of any such teachers or communities. ASALAM WA3ALYKUM BROS AND SISTERS!!! i am a moroccan teenager from East London, England. I have really been interested in china and islam. more recently wang zi ping. I have found two videos of him which are great mashallah…enjoy them….just remember his method of training…as he memorized more quran, dhikr and hadith….his strength balance and speed increased along with that…mashallah, may allah bless his soul and reward him for his efforts…. I accidently found out about this blog while doing my coursework about Islam in China. Apart from studying and understanding the history of Islam in China, I also would want to know more on what is going on in the Islam community in China today, especially under the administration of Communist Party. And, what fascinated me more is that China was so special in the eyes of Rasulullah S.A.W. Looking forward to reading and listening to your new updates about Islam in China. Salam, (and ni hao) from South East Asia. Singapore to be exact. Keep on blogging, and I have added your site in my bookmarks. I am Belal Mohammad from Jordan stay in Malaysia continue my studying here, almost three years in Malaysia. Asalaam alaikum, I am so happy mashallah to have discovered this website. I spent time travelling in Hui and Uighur areas in China and I miss the people so much. I now live in New York. Does anyone know of a Chinese masjid in New York City? To everyone, thanks for your comments. Its been a while since I replied to the comments. For more detailed feed back you can e-mail me directly. I’ve discovered your blog while surfing. Good work, keep blogging. with love and light from Istanbul. I am a writer on wedding planning, wedding photography and wedding Coordination. I help people find the best wedding destinations, photography, Dj etc. I found your blog very informative and well written and I am interested to write about a Muslim wedding ceremony in US, I am very much fascinated by the Islamic culture hence I would like to dedicate one or two articles towards Muslim wedding Ceremony and Planning. Ma sha Allah, I am so happy I found this blog. I have been fascinated about Chinese Muslims for quite a while and I wanted to learn so much about the Muslims in China and the Chinese Muslims in general and the Culture (non-shirk good manners I meant). I have been trying to find websites but they were all in Chinese and when I translate, I mostly could not understand the translation, I just about get the general message but can’t string all the broken English together to make full meaning to me. I think I am gonna stay a while on this blog and see what I can get out of here probably will be able to link to more English websites about Chinese Muslims. NICE TO SEE this beautiful blog from you, It is absolutely wonderful, More that you are a much talented calligrapher it is reeally great to see your calligraphy. Have u heard about muslim chinese martial arts? we have the Hajj guides in amny languages and wanted to see if you can translate our one page hajj guide. Go to http://www.islamicbuleltin.com clcik on Hajj. We have a free ebook section. Which books do you recommend that we carry? I am indian muslim visiting beijing on 9 jun 2009 i am looking accomodotion near ox street mosque ( or where easily mosque and halal food available while my stay in beijing for 5 days and any brother like to help me with english to chinese translation while i am there. It is a matter of pleasure for me to visit this blog and write here. It make us so happy when we hear about our Muslims brothers and sisters in China. May Allah increase you and family in Nur Ameen. Thank you very much my muslim brothers, I would like request my chines muslim brothers to come Saudi Arabia on employments / Jobs and get good Islamic knowledge from here and then tranfer to China to propogate Islam in China as it is duty of every Muslim. Have you ever heard of historic cleansing? Well, that’s what happened in Malaysia. Would you believe that thais and siam are two different people?Thais are buddhists while siam are muslims. There had been a conspiracy between Christians and thais to wipe out siamese history. A holy war as you might say. Remember the Moghuls (Monggols) of India? Does anyone know when is Eid-aal-Adha in China? Wang Daiyu, you are an incredible, incredible aadmi. I am Osman from soutern most of Thailand, here in Thailand we have chinease muslim in the north. they are originally from Yunan. We also have islamic university about 20-30 chinease student being studied here. The first time I visited this blog, I am very touched by the growth of muslims in China. This blog is very fantastic. In Indonesia, many ethnic china has become muallaf, even a teacher of the Koran and a great speaker. My Brother, may I ask you, how many Muslims in China now? May Allah bless you and wish you a lucky person, Amen. It is very nice to see that there are also many chinese muslims who are working for dawah sincerely. I totally stayed one year in china and I can speak chinese. But my chinese is still not good enough to make translations of truths of faith(iman) so I want help from the muslim chinese brothers whoose english are good enough to make translations from english to chiense. I will be waiting for your news. Akhi, the Hadith in your header ““Seek knowledge even as far as China.” – Saying of Prophet Muhammad (pbuh)” it is invented and has no sources in the books. I’ll be visiting Beijing and Xian 20-31. march. I would be happy of the baraka of meeting Chinese muslims – see mosques and I also may need some advice on where to eat. Did the chineese girls like to married asian? we are searching for a person who could help us with the translation of about two pages of text from English into Chinese concerning our Virtual Museum http://www.discoverislamicart.org and related activities. This text is needed for a leaflet that will be published for the Exoo in Shanghai. May Allah bless you and all muslims in China. I want to ask How is Sufism in China? JazakAllah khair. I am a convert to Islam. I lived in Chongqing China for 3 years. May Allah(SWT) Bless your efforts! Jazakallah for your wonderful and informative site, I have been following it for the past year and it always helps to know there are many chinese muslims out there. I am a Chinese (from Hong Kong) and a recent convert to Islam. I haven’t met many muslims who are Chinese and my family are against the religion, believing it to be very ‘un-chinese’. If only they knew about the long history of muslims in China! I’m also in the process of looking for a Chinese muslim name but haven’t any idea about this! Brother if you have some info on this pls let me know! Keep up the great work and may Allah bless you for your efforts! I am really interested in the muslims in china. Jazakallah for this informative blog. I think that we all Muslims carry the sin of not introducing Islam to China. Chinese people do not know a lot about Islam. Most of them do not believe or at least doubt about God. This may be sue to the education background they had at schools. We need to show them how much logical is Islam. They are almost isolated even in the current time. They do not have access to most of the websites people from the whole world have access to. This is a good and bad thing in the same time. This makes communication with them more and more difficult. We need to learn their language to be able to communicate with them perfectly. Examples for that , they do not have access to facebook, youtube and even wikipedia. Most of them do not use messengers famous in other countries like yahoo and MSN messengers. They use QQ. The most site visited in the whole world is Google and Yahoo , but they have other sites like 126.com and 136.com. I can not believe that Muslims leave Chinese without knowledge about Islam. China’s population is near 1/3 of the whole world’s population. However, how may websites talking about Islam has a Chinese version. If we want to introduce Islam to them , we must increase the number of published contents about Islam in Chinese. We need to go to the Chinese video sharing websites and like http://www.youku.com and http://www.tudou.com and upload movies about Islam. We can send messages to them introducing Islam through their QQ. But we can not leave them without any knowledge about Islam. Allah will ask us about them. MyIslamic Blog is a new Islamic social network and a blogger space! We look for Great Islamic Blog on the net and invite them to help us start this huge islamic project! We think that your Blog “islaminchina” will help us a lot at MyIslamic Blog. How? we offer you utilities to transfeer your Blog with ONE Click to MyIslamic Blog: posts, comments, pages, categories…etc, all will be found at MyIslamic Blog. – To get started, register at : http://myislamicblog.com/register. See you at MyIslamic Blog! Wassalamo alaykom wa Rahmatu Allah. Could anyone advise me on where to get Halal cosmetics/skin care in China? Any contact email address would be very appreciated. please send to this email f.renata@purbasari.com. Thank you. Subhanallah, I cannot believe I didn’t find out about this blog earlier! As a Chinese-Australian revert, I must say that it is wonderful that you are helping to spread knowledge about a part of the ummah with such a long and rich tradition, yet is too often left out of the limelight, jazakAllahukhair! I know this question sounds stupid, but are you Chinese yourself? And are you currently based in China? Allah hafiz, and hope you had a pleasant Eid! alSalam wa’alaikom, how are you my brothers and sisters of china? I am from kingdom of Bahrain , its really a pleasure to visit this site and. I just want to learn to speak chinese but I donk know how to start, so if any one can help me with some ideas I will be glad. Inshallah in near future I will visit china and get incontact with china muslims. its me Mohammed Hassan, I just want to say that this is my E-mail if any want wants to send a message. Alhamdullilah, i hope the blog owner will continue his posting and may Allah look after his well being. I also believe there have been so much filtering in China where you might not able to find resources to compare the differences or the occurance of the outside where it will benefit your future posting in China view of Islam where i believe that we all share the same views and belief in many ways. If ever you need hosting for domain and blog, vpn (for access without filtration), please approach me. Welcome to assist you and provide it free as sponsor. I just opened a group in Mendeley (see mendeley.com) for sharing articles relating to Islam in China. I’ll keep the group invite-only, but I encourage anyone doing academic work on the topic to join. China is a Fascinating country, I hope to visit it. Regarding Islam, I would like to share with you the following websites, I hope you find them useful. Hakikat Kitabevi from İstanbul, Turkey is sending the books of valuable İslam scholars as presents to serve to our supreme religion İslam. We are posting whoever transmits us the post address and the language which he wants the books in. My brother has just come to Hainan Island. He is looking for the nearest mosque for Shalat Jumat. But he has not found now. He might be have trouble to found halal food on this Island. Is there somebody can help him, please. His name is Deddy Colyana and his mobile 0018618789042706. The location is Datangchun village, Wengtian municipal, Wenchang town. Assalamualaikum..warahmatullahi wabarokatuh..i got an assignment about Muslim in China. I would like to know some information about What have been done by NGO or any organization in order to help and protect the Muslim. Besides that,can you share with me what have been faced by Muslim in their survival.I’m sorry if my questions are not clear because I’m not very fluent in English. I really hope you can reply me. Hakikat Kitabevi from İstanbul Turkey is sending the books of valuable İslam scholars as presents to serve to our supreme religion İslam. We are posting whoever transmits us theaddress and the language which he wants the books in. By dramatizing 9/11 USA has posted Muslims as terrorists because it was his 3rd world war strategy in which no n Muslim get together against awful beast “terrorists’. he succeeded because almost all over the world where Muslims were being pressed and forced to abandon their religious practice find this a great opportunity and went in the lap of lap of so called peaceful nations. in response to nullify this, Muslims should especially where ever they in minority should prove themselves a peace loving people and should not start fighting but to slowly keep preaching their religion by love and harmony . this is what i would like to suggest for brother Muslims in china. especially because china have good relations with Muslim countries . he has not political or conquering attitude but only social , and economical relations . Assalamu alaykum wa rahmatullohi barakatuh.my brother and sister.my name is SHUKHRATBEK i am UZGEN sty.l like to islam. I have gone through your website. Wonderful work Mashallah. May Allah give you reward and strength to work more for this cause. Ameen. We provide online Quran learning services specifically to those who live in countries where it is difficult to reach Mosques or Islamic Centers for Quran Education. I beloved up to you’ll obtain carried out proper here. The sketch is tasteful, your authored material stylish. nonetheless, you command get bought an shakiness over that you would like be handing over the following. sick certainly come more until now once more since exactly the similar nearly a lot frequently within case you defend this hike. Salam Alaikum dear bros & sisters. God bless the initiator of this site and all. I’m Dr Camil, a young medical doctor and investor. Pls if anyone could help in anyway, I’m interested in getting married to a chinese muslim sister ( girl ). I’m Indonesian Muslim businessman. I will be travelling to Shanghai in March 20, 2012, to attend Seminar. On my trip I like to see Islamic history and visit mosques and meet muslim chinese as well. Please suggest me the places to visit in China. I would also appreciate to hear from Chinese muslim business persons with any ideas to do business between Indonesia and China (shanghai). i want to know about xinjiang uzgur provincies. Wanted to check with you if you would be open to the idea of reviewing an Islamic App on your blog. I have recently introduced an Islamic App that allows users to track their deeds, thus enabling focus on areas of shortfalls and increasing others from current levels. The name of the app is iSawab. For more details, please visit http://www.isawab.com. And if you’re able to review the app, I would certainly appreciate the gesture. If you can not find a qualified Quran tutor locally, then please contact us at http://www.quranfocus.com . Inshallah we will help you with live one to one Quran teacher, who will teach you Quran with Tajweed online. Call me Atan. I am looking for a chef from Islamic Region of China, who can prepare Chinese Muslim dishes to work in Malaysia. Contact me at mawi1972@hotmail.com. Can someone tell me if this is possible to register in a muslim institute or university to learn mandarin or any common chinese language? Only Muslim. BarakAllah o fikum. assalam alaikoum wa rahmato allahi wa barakatoho. and I study in Egypt. and gives dourous Chinese language. I’m pakistani Muslim. I will be travelling to Beijing and shenzen in Febrary 20, 2011, to personaly visit. On my trip I like to see Islamic history and visit mosques and meet muslim chinese as well. I would also appreciate to hear from Chinese muslim persons with any ideas to do business and friendship. appreciate to get some info on the halal food from Shanghai Chinese muslims…..
i am a doctor by profession from india and now exploring different parts of the world for busieness oppurtunities. if i can get any muslim brother who can guide me for various busieness oppurtunities under mutual profit basis in china will be very great. Hi sir, I like to no if there’s Chinese website that my Chinese wife can learn from? please give me a little information on the muslim population and mosques in the area as well as types of halaal food available ( pakistani, lebanese, chinese etc) .South African muslim of origin , any advice ? and give me your opinion of the Site by signing my Guestbook. And please make others aware of this site because it is of worldwide significance. Hello, you may be interested in my recent post. Any comments would be greatly appreciated. Keep up the good work, I have been a reader of your blog for some time.